Indonesia is the 4th largest producer of coffee in the world, and with the perfect climate for growing coffee beans, it produces some of the world’s best coffee. Both a valuable commodity and a delicious addiction for so many people, coffee has become an important part Indonesia’s economy. Industry is booming in Flores, tourism has taken off and the island is busy building infrastructure to accommodate travellers to the area. There’s a buzz about the Flores café culture and connoisseurs are coming to places like Labuan Bajo to kick back and try the world-class coffee in one of its many coffee houses. Coffee from Flores is known to have a sweet chocolate flavour, floral and woody, with milder beans ideal for blends and the flavour of the stronger coffee beans, delicious on their own. The Arabica bean produced in Flores is stronger in flavour and is prized within Indonesia, as well as all over the world. The Robusta variant is softer, with a more neutral palette making it the ultimate bean to blend or even to create flavoured coffees. In recent years Manggarai coffee has been making judges at coffee festivals sit up and pay attention, and not just because it’s a strong coffee! It has a very distinctive flavour which the producers claim is due to the dry climate in that area which is sheltered from the seasonal winds and harsher weather. Coffee aficionados attribute the exceptional flavour of Flores beans to its close proximity to the equator and the lush mountainous soil, perfect for coffee production. The Ngada district predominantly grows Arabica beans whereas the Robusta come from more outlying regions of the islands. 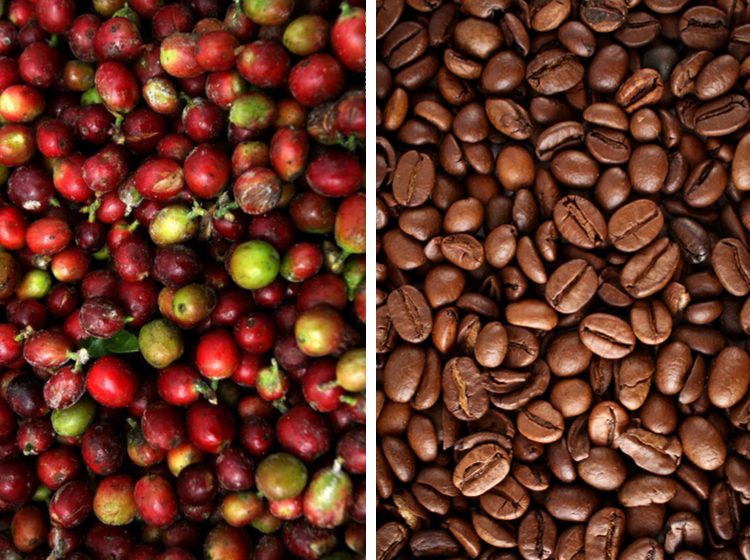 Arabica is harvested from May to August and Robusta is harvested from July to September. After harvest, the beans are transported to various collection centres within villages that then blend and package the beans for export or domestic use. However in some areas coffee production is still rudimentary. There has been a significant push for more government spending on infrastructure as this industry is not affected by tourist trends and can produce huge volumes of product from various areas all over Flores. It makes the coffee bean a popular crop and it is generally thought the trees are hardy and tough and will grow easily on their own. The team will be doing serious investigative work (drinking coffee) over the coming weeks in order to list our favourite coffee spots in Flores, but if you have your favourite that we should know about, please contact us so that we can add your coffee house to the list. Sign up to our newsletter to be notified of the latest news, tours and events in Flores.